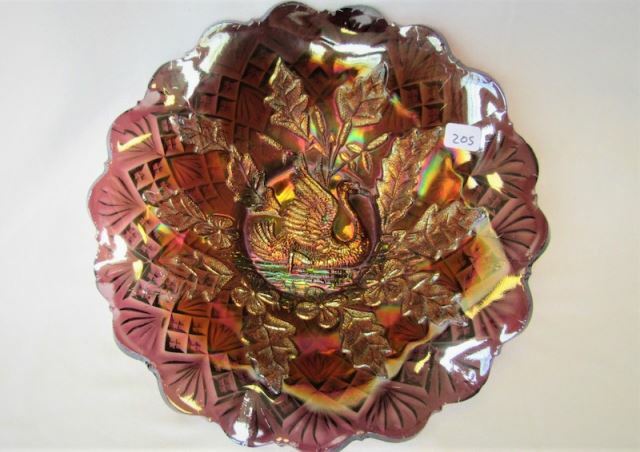 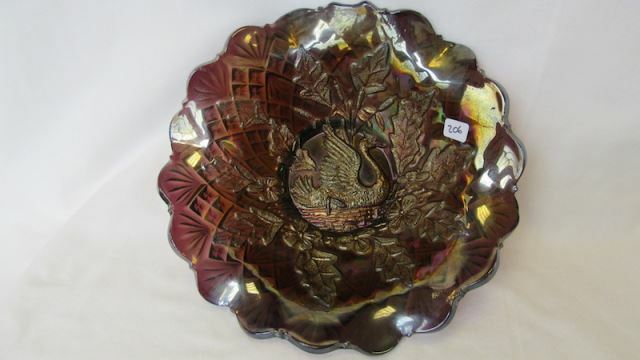 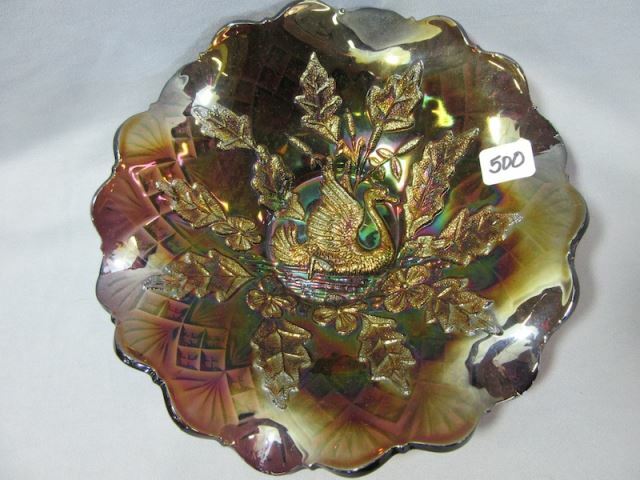 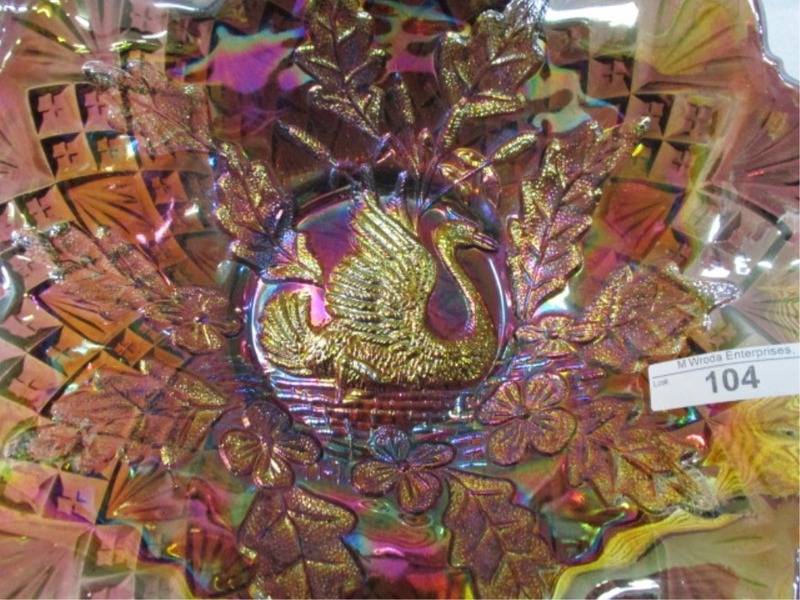 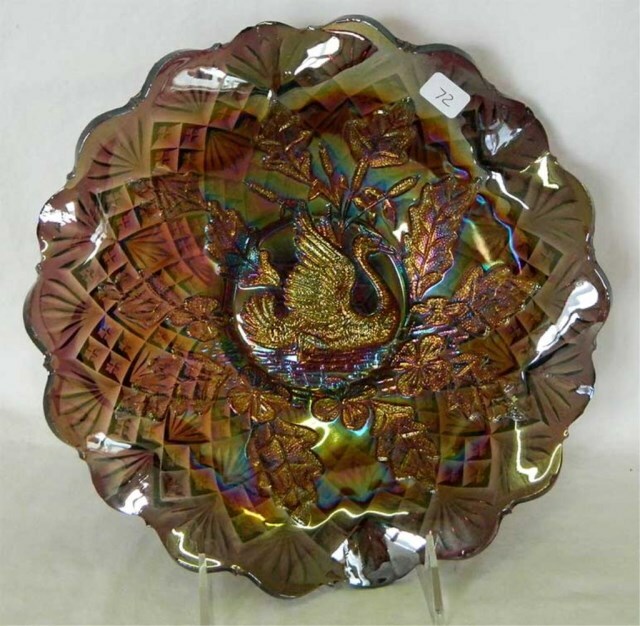 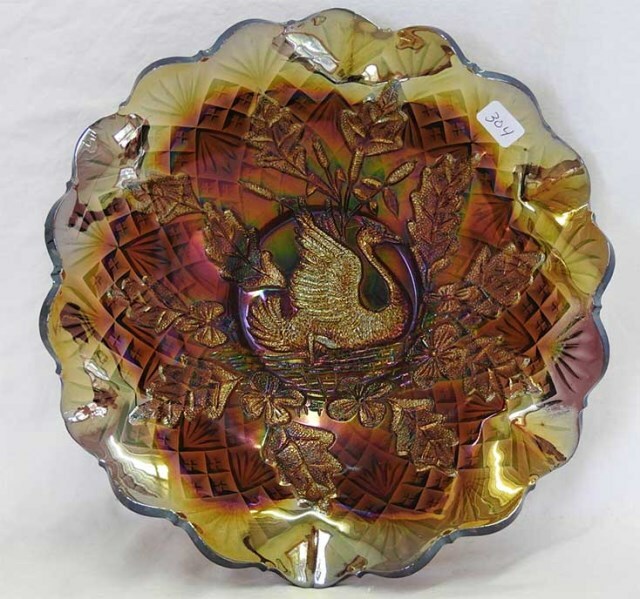 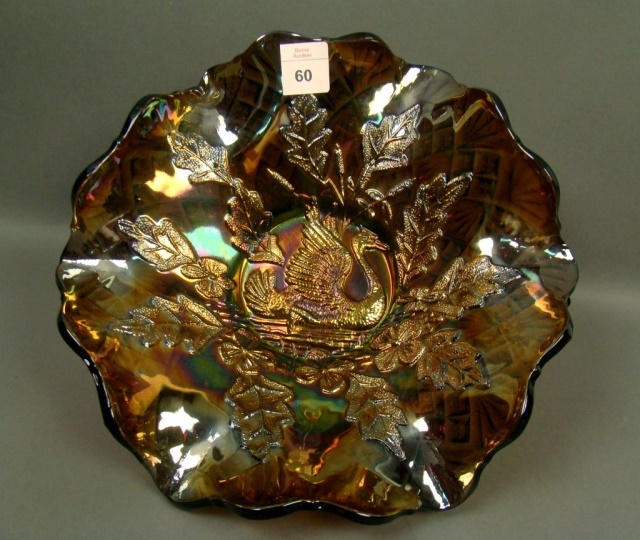 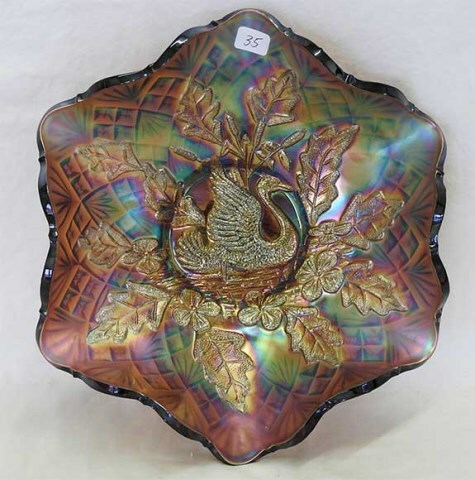 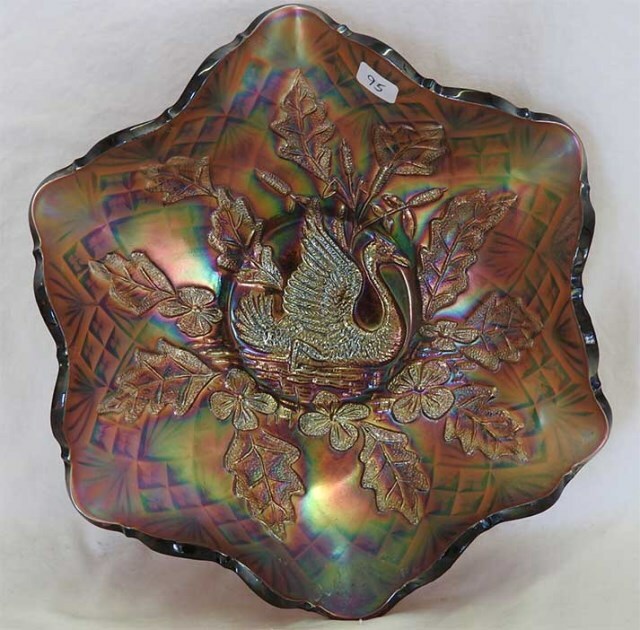 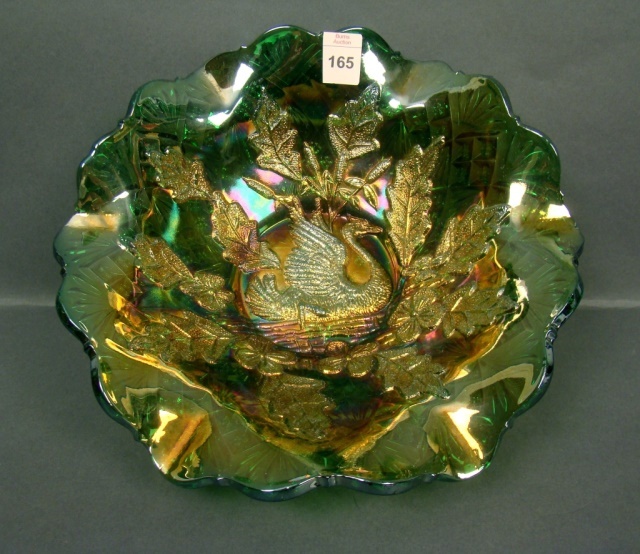 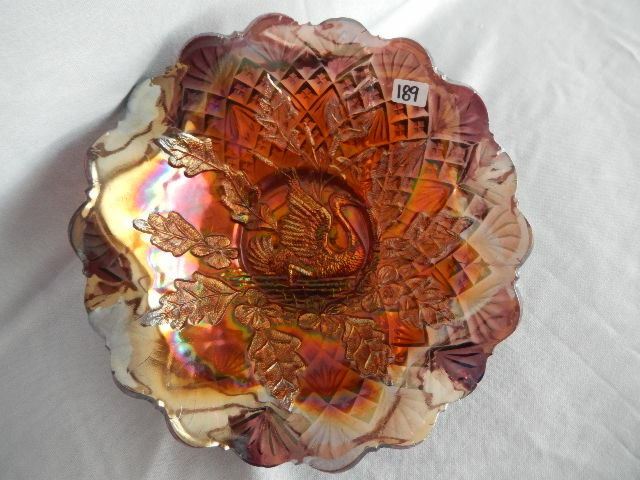 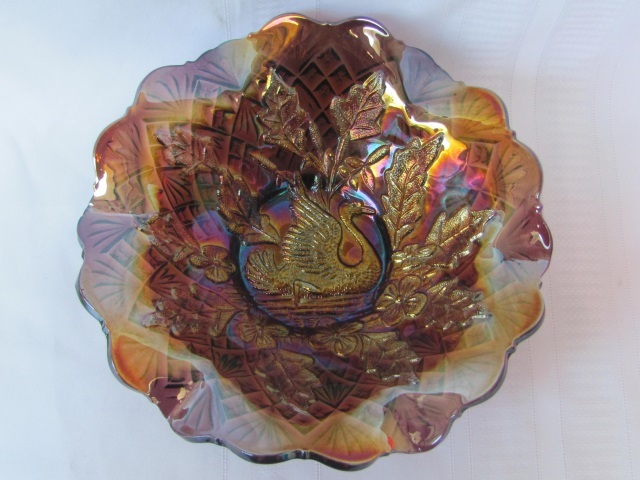 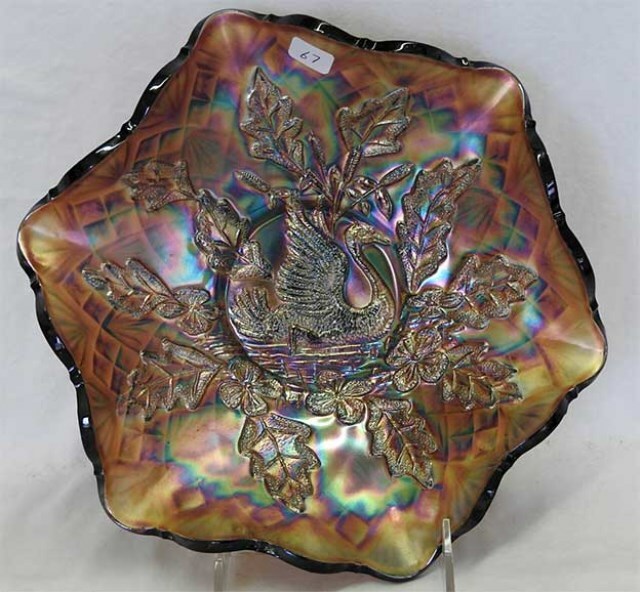 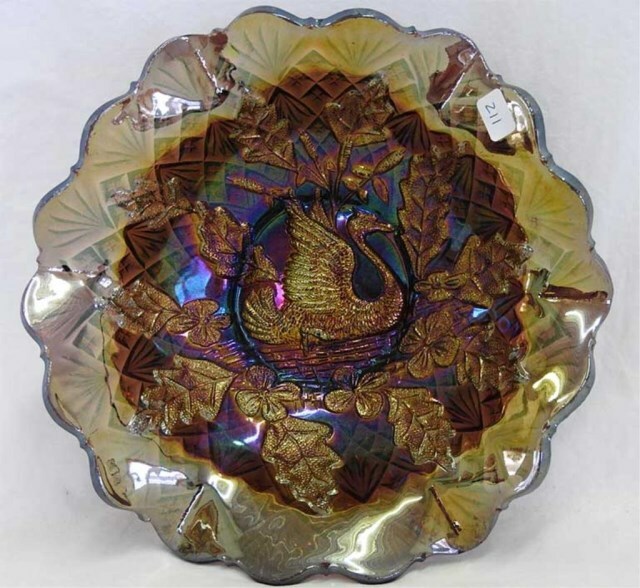 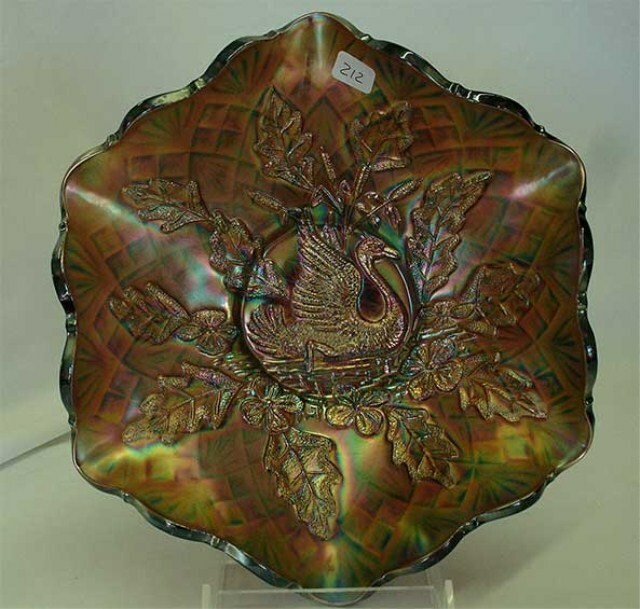 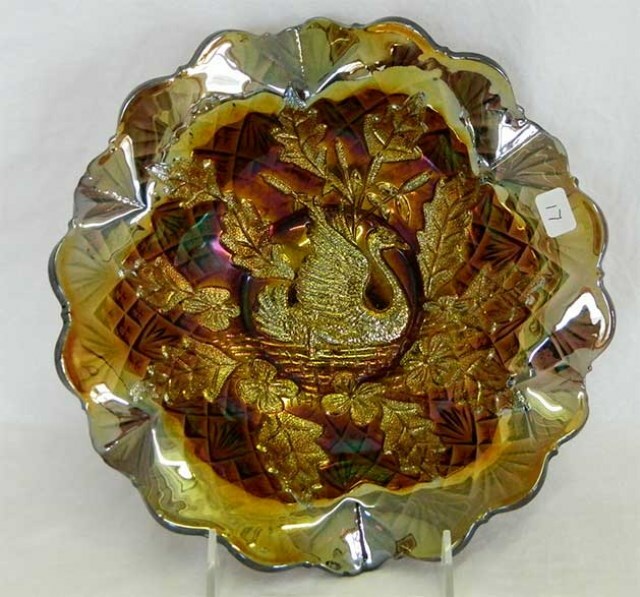 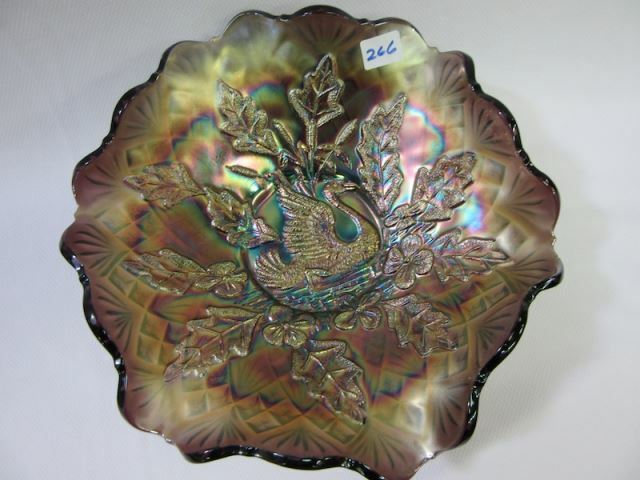 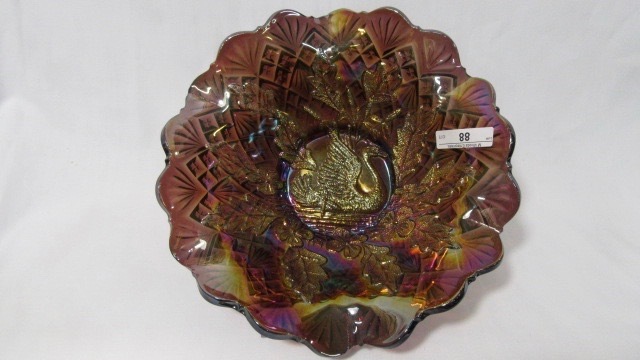 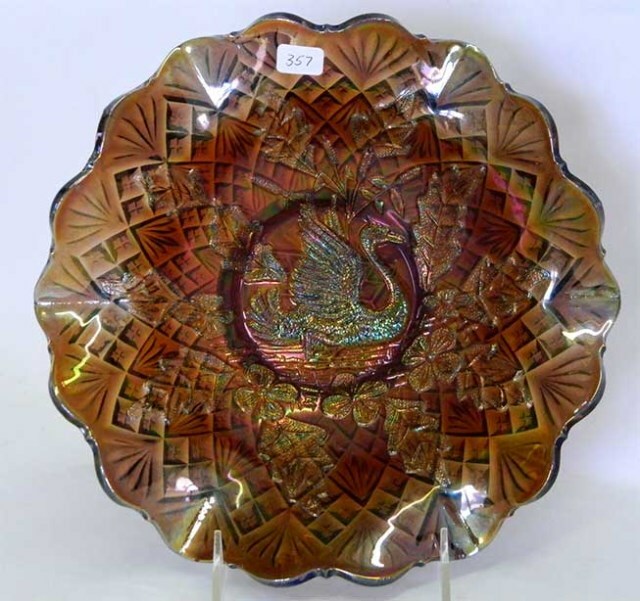 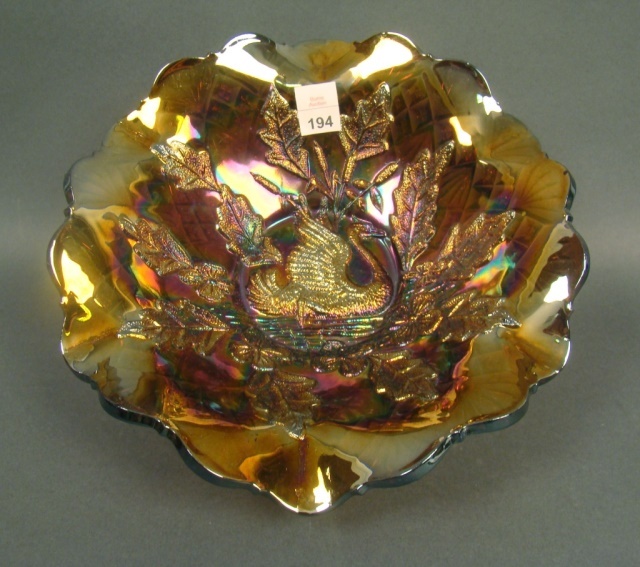 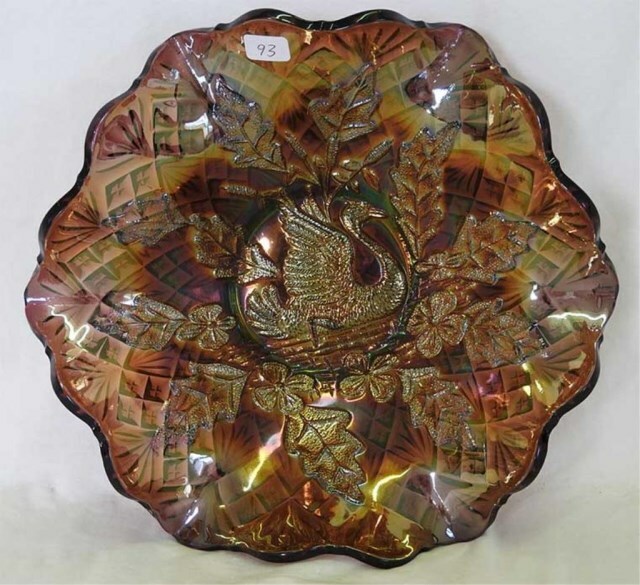 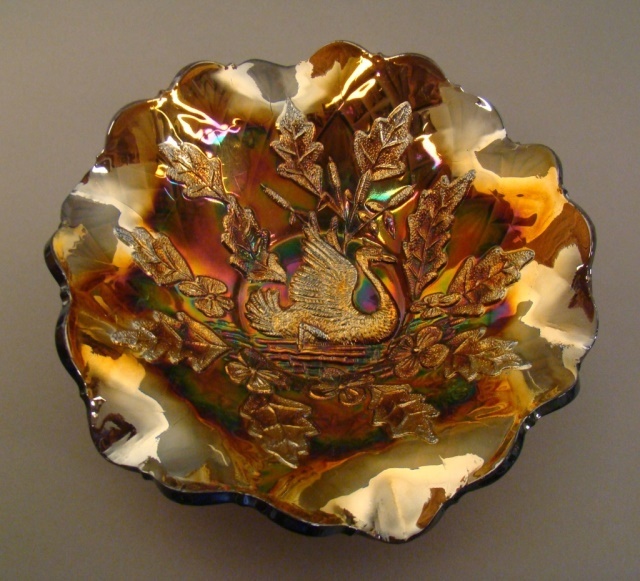 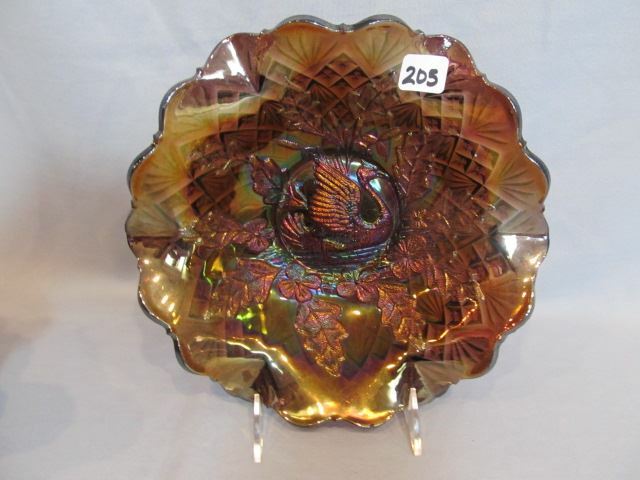 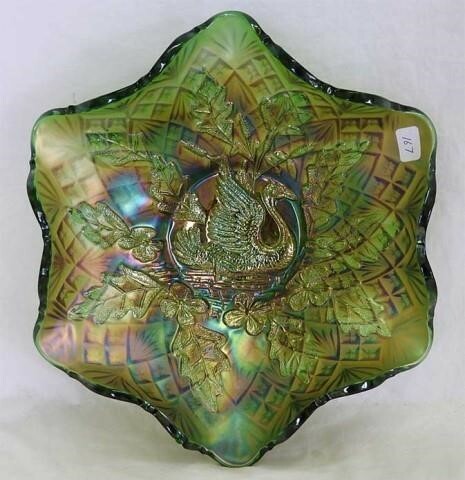 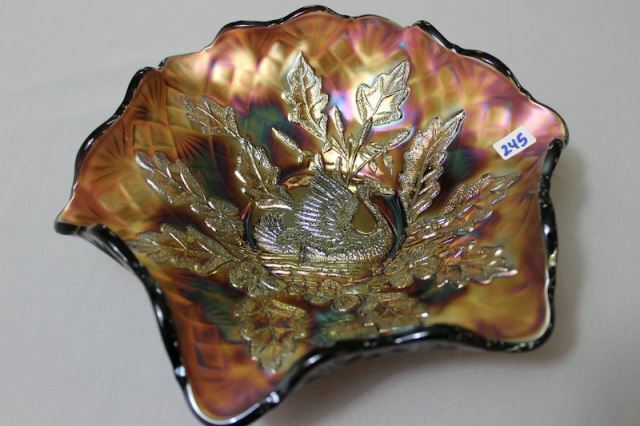 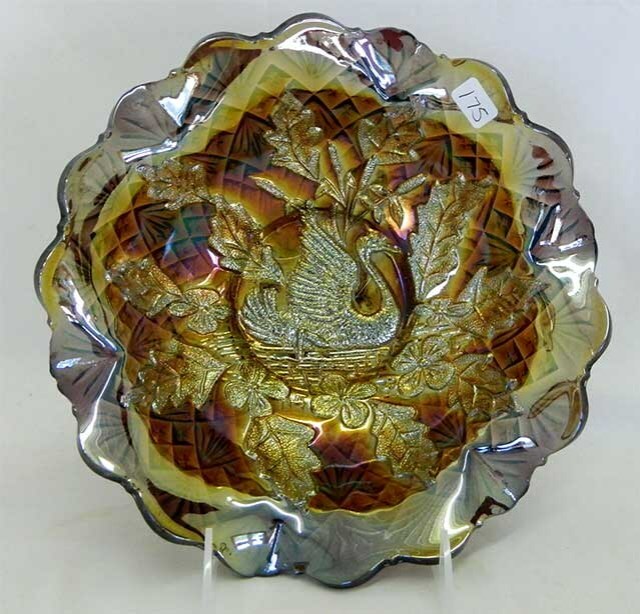 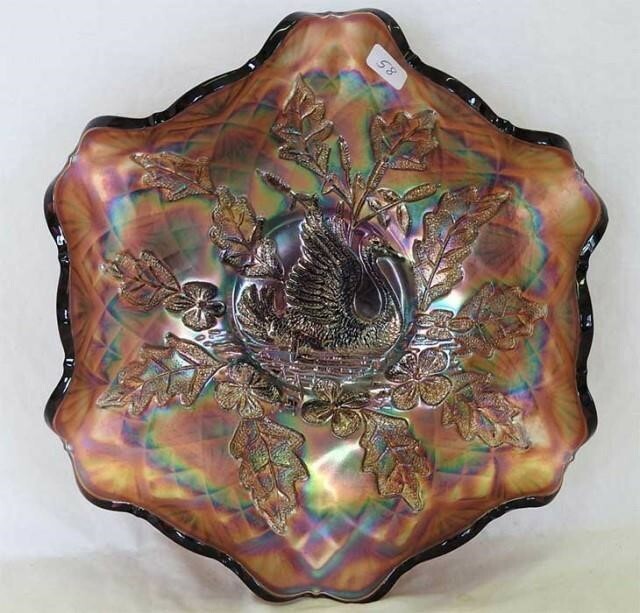 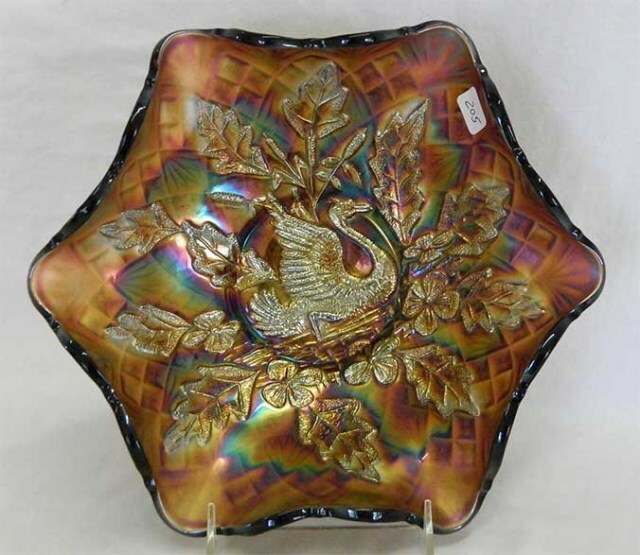 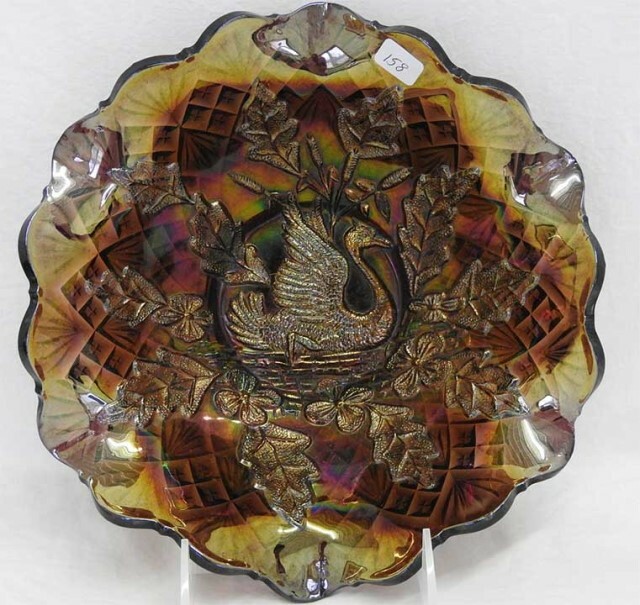 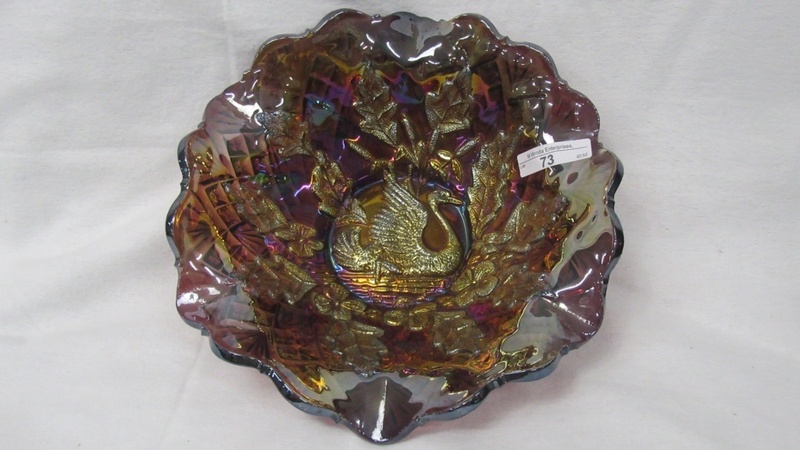 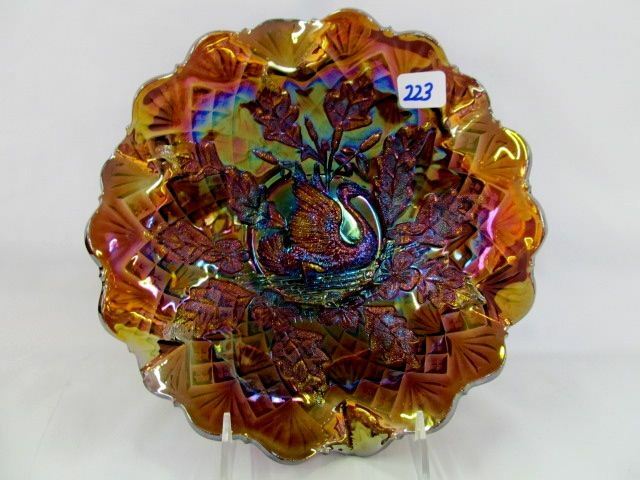 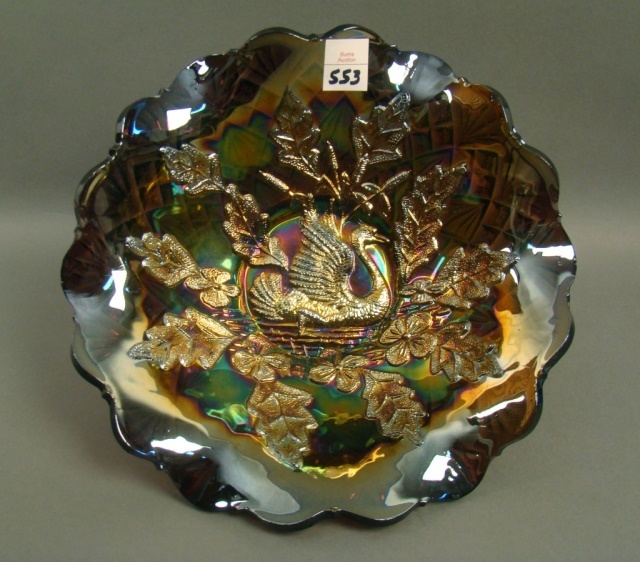 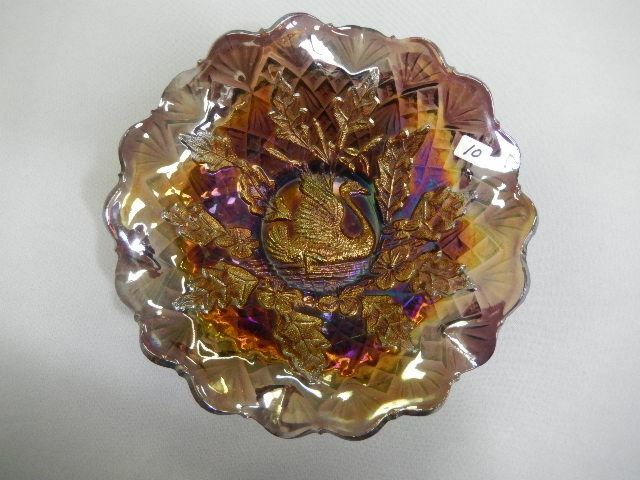 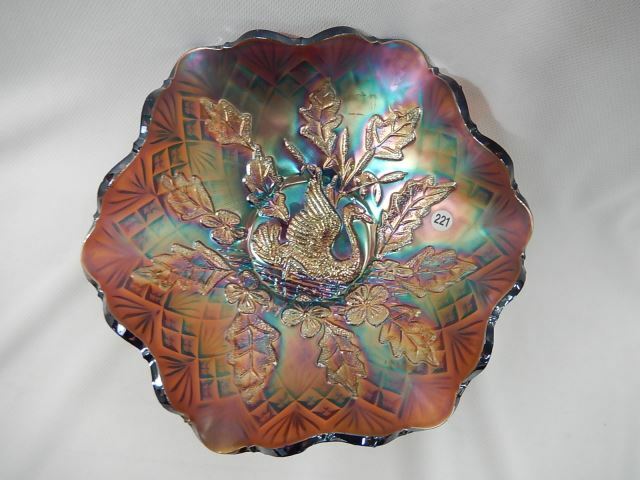 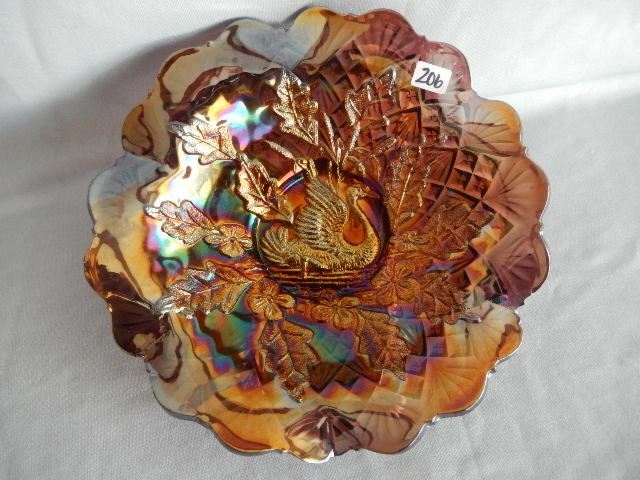 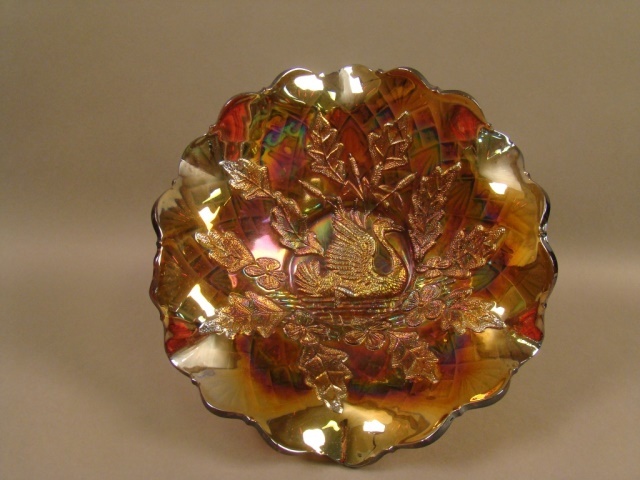 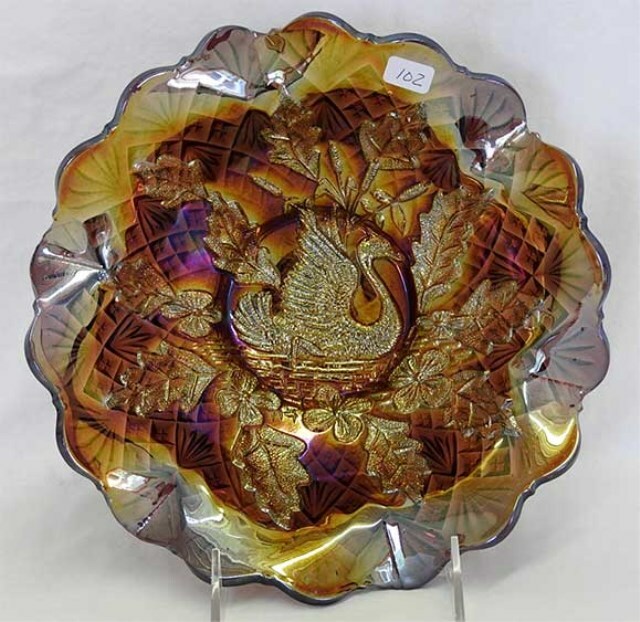 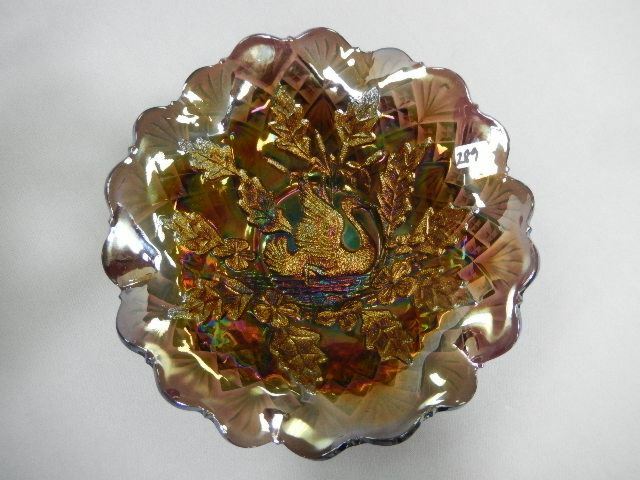 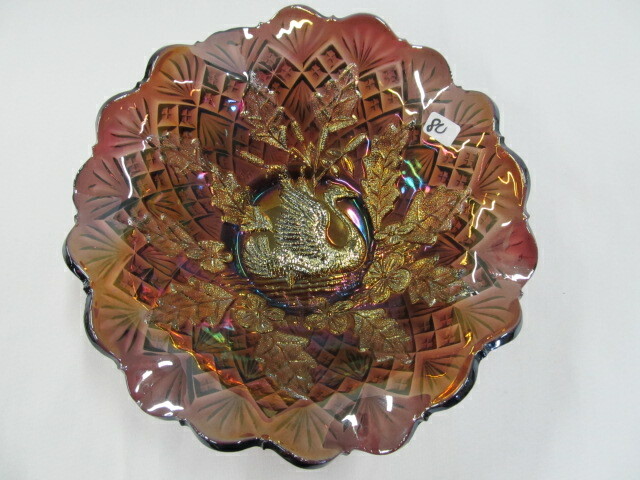 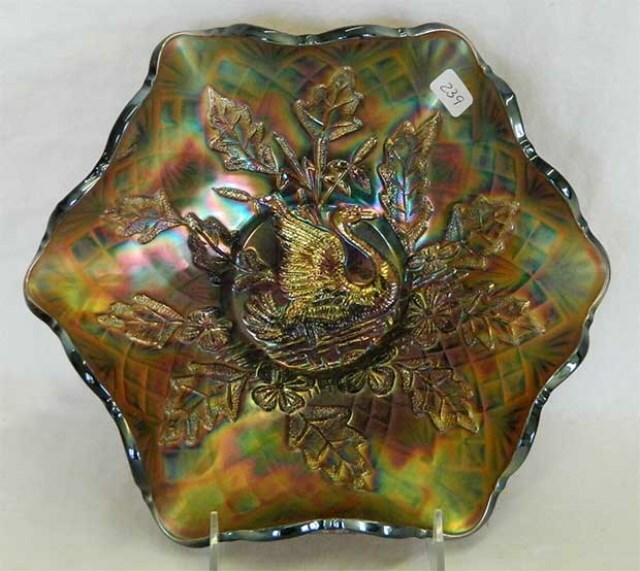 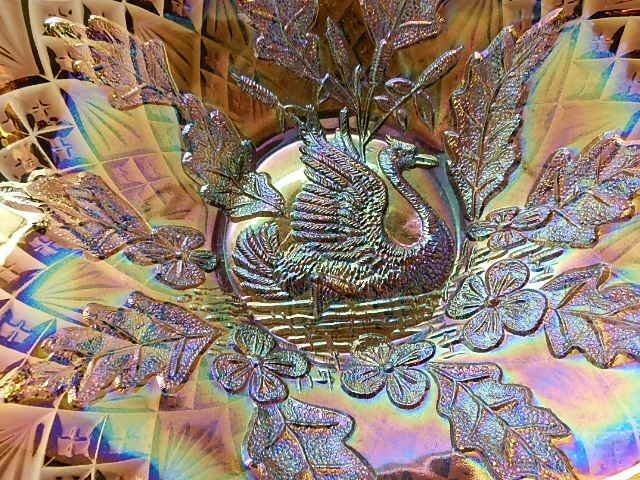 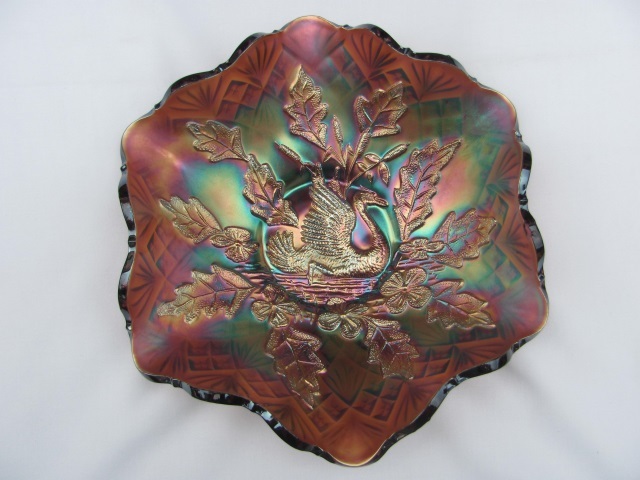 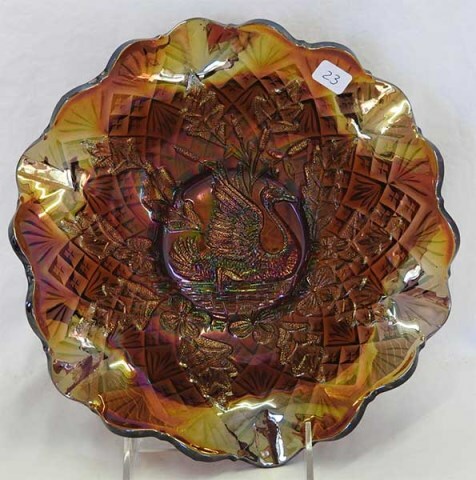 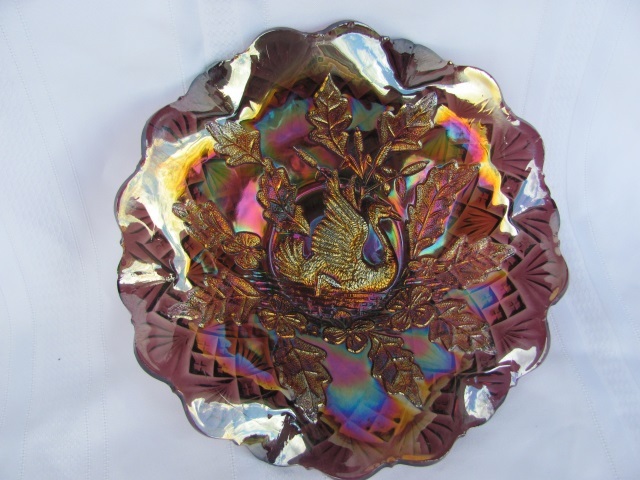 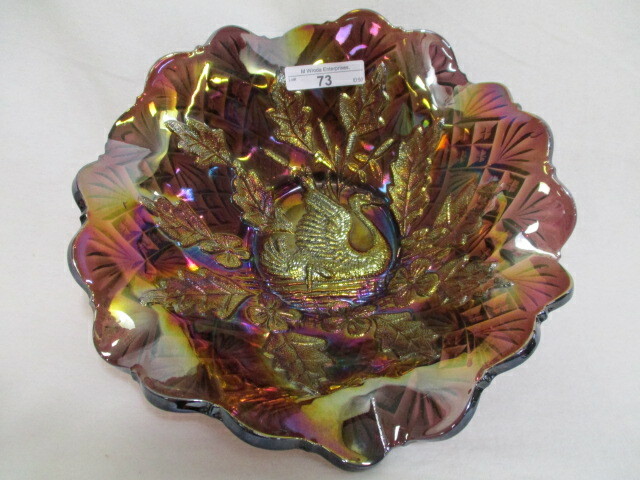 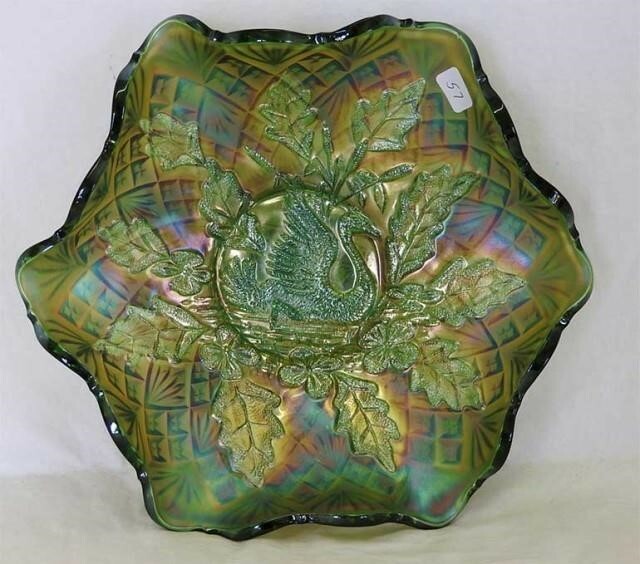 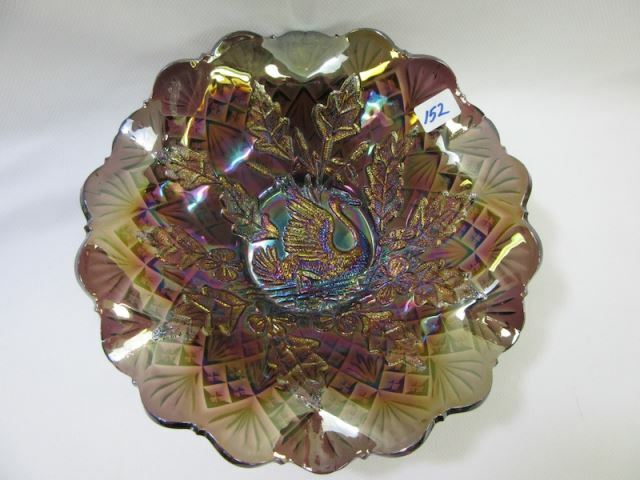 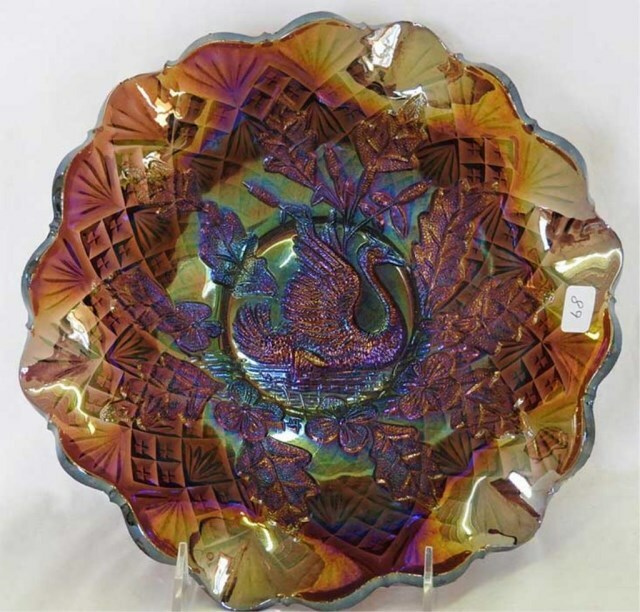 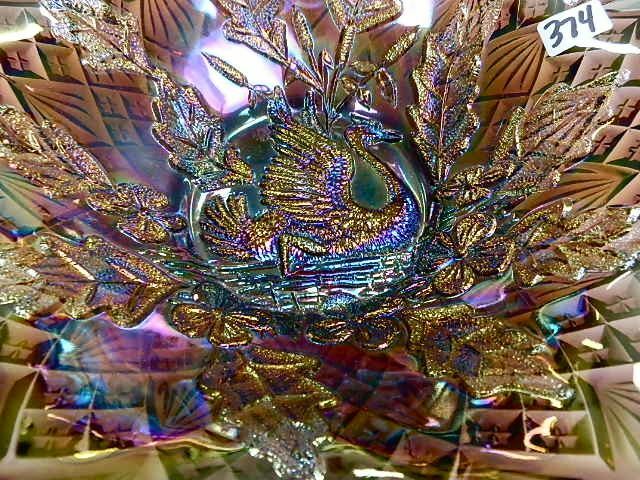 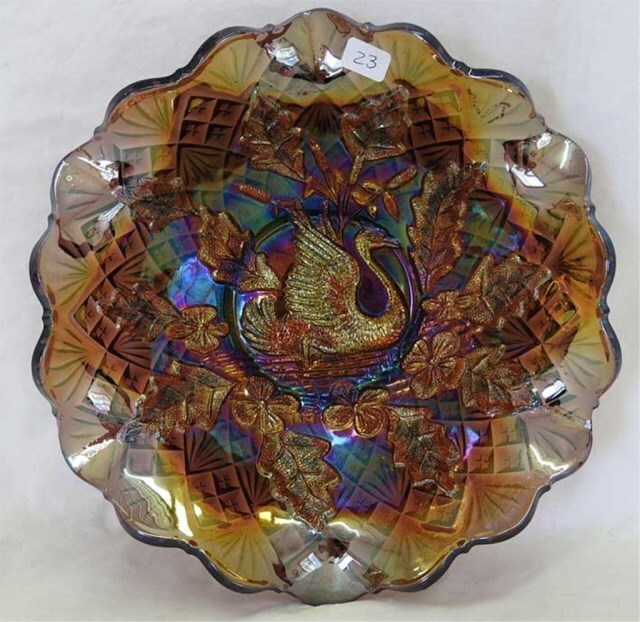 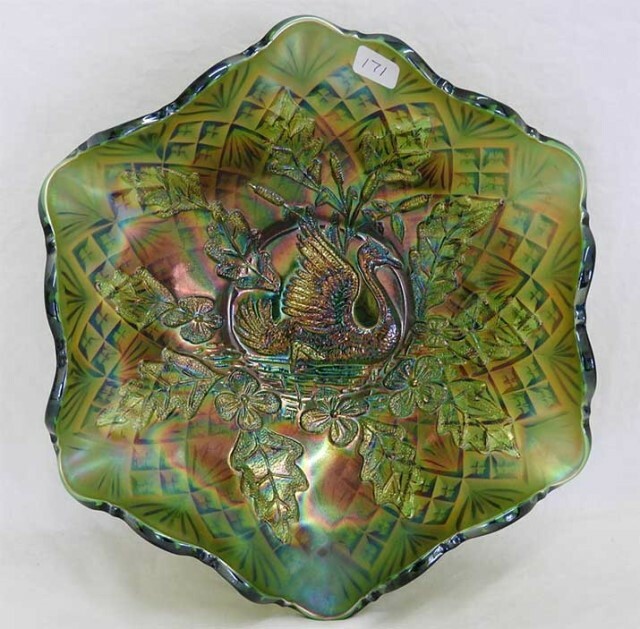 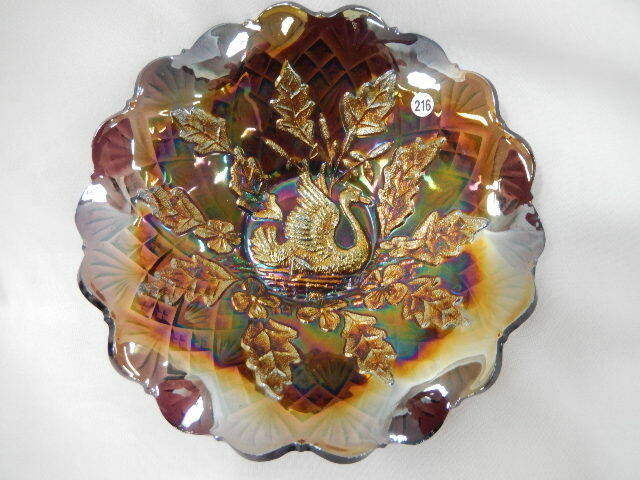 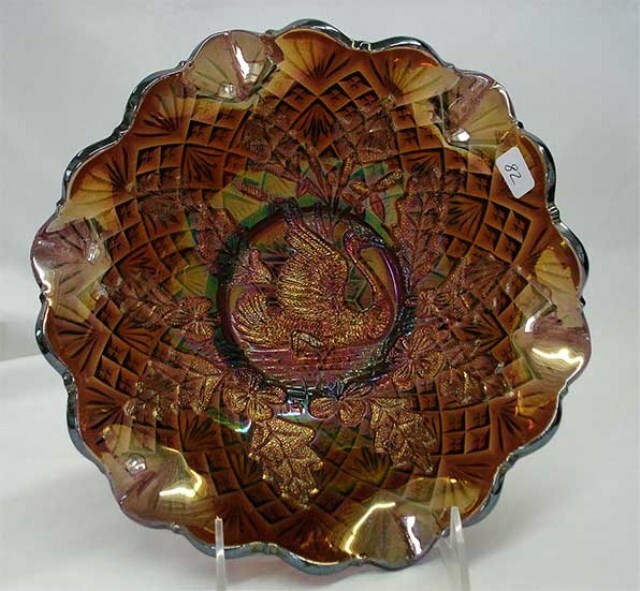 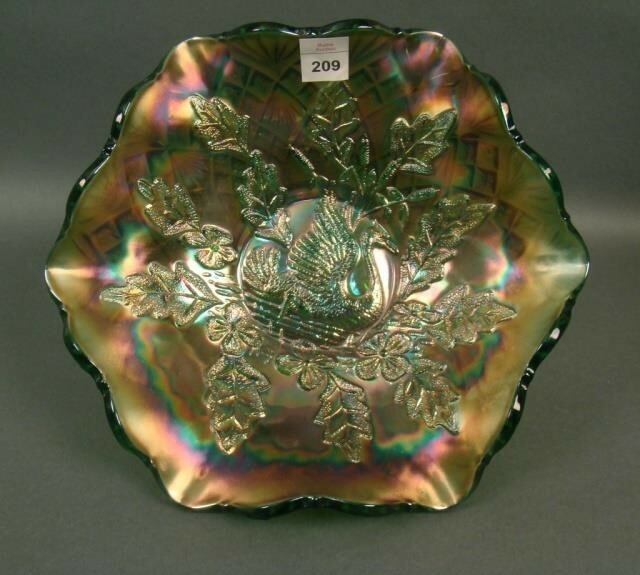 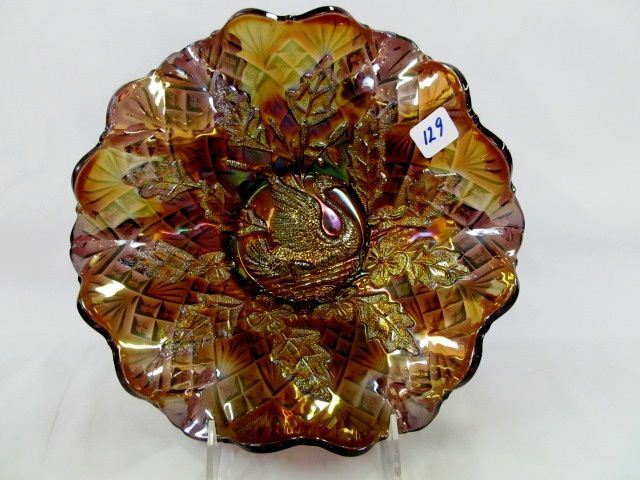 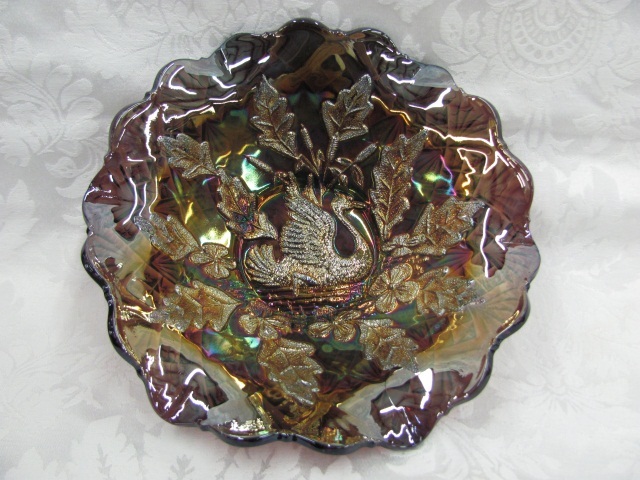 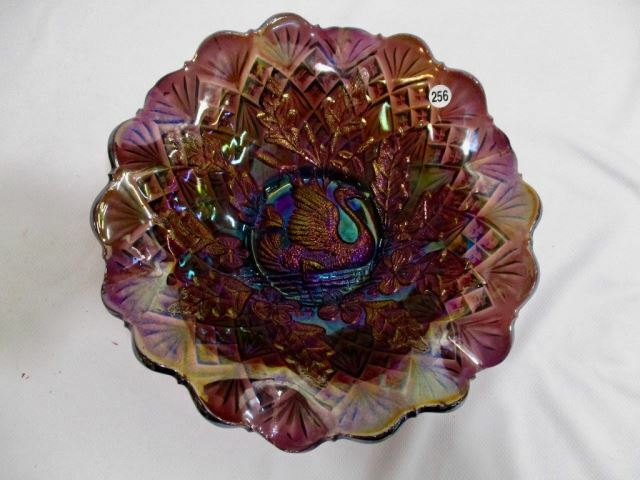 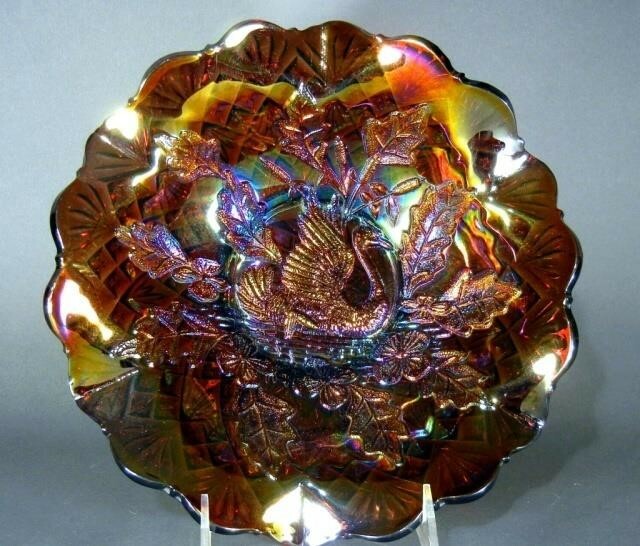 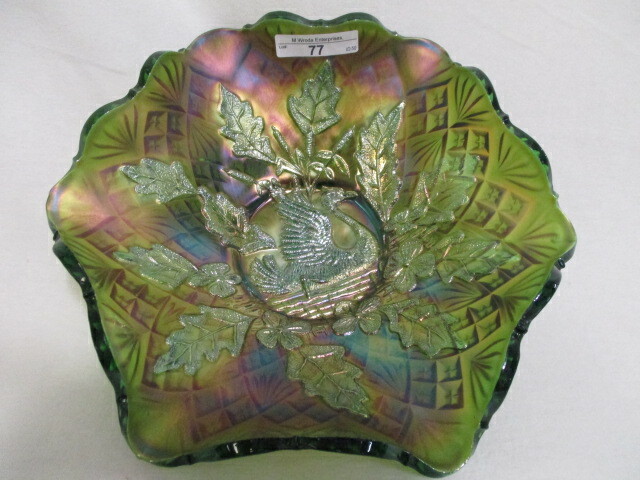 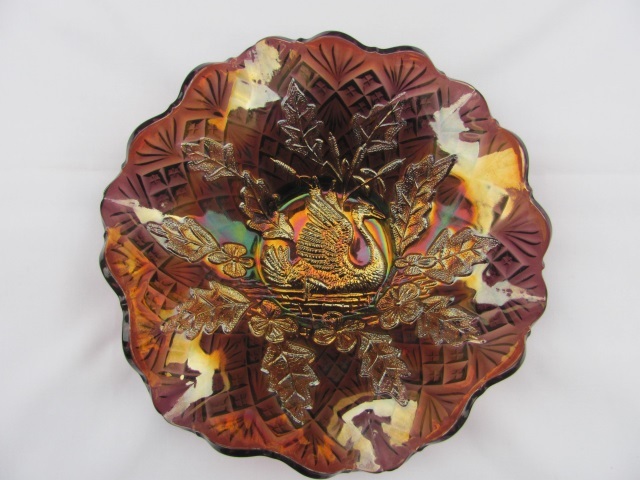 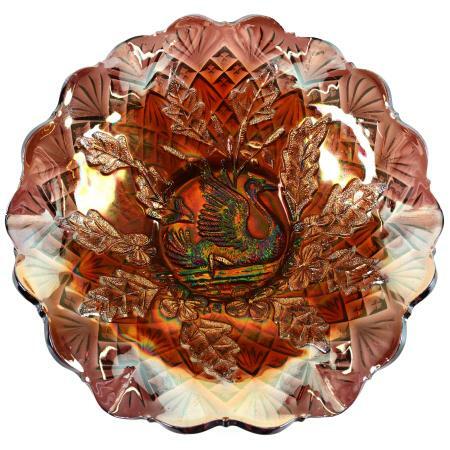 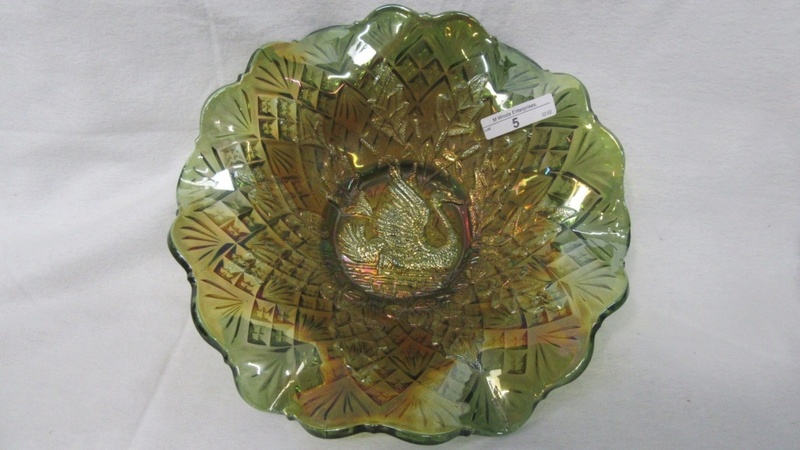 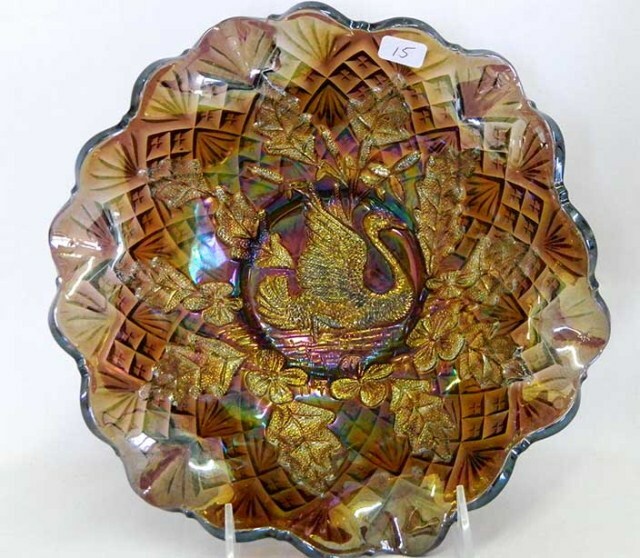 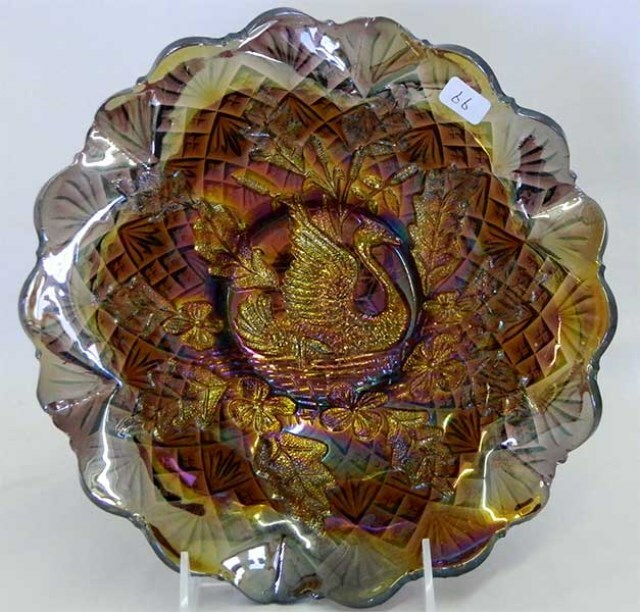 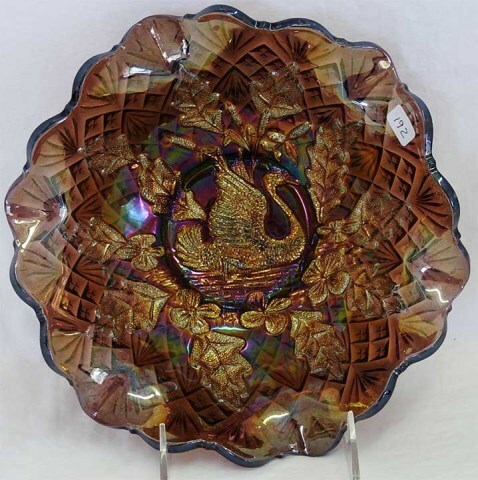 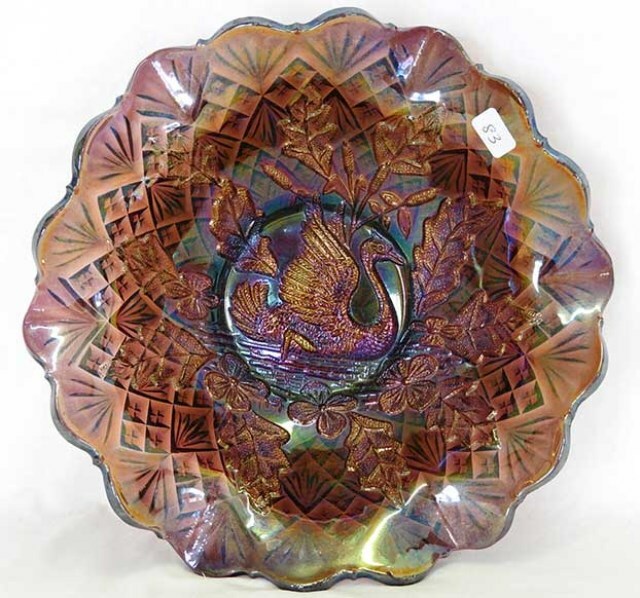 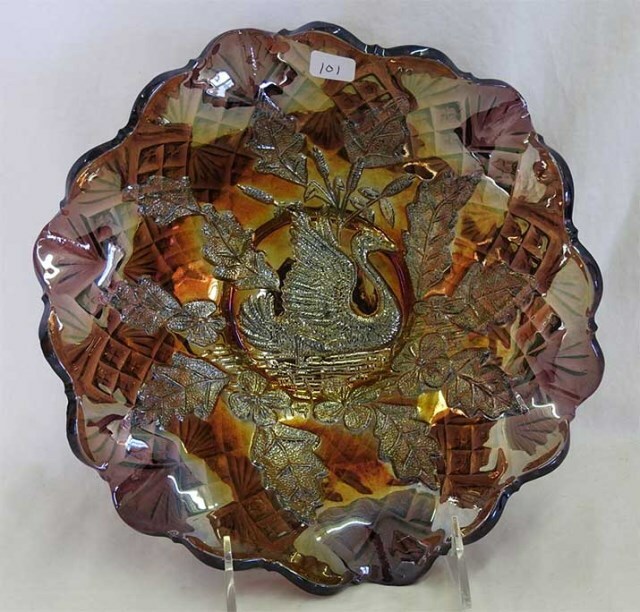 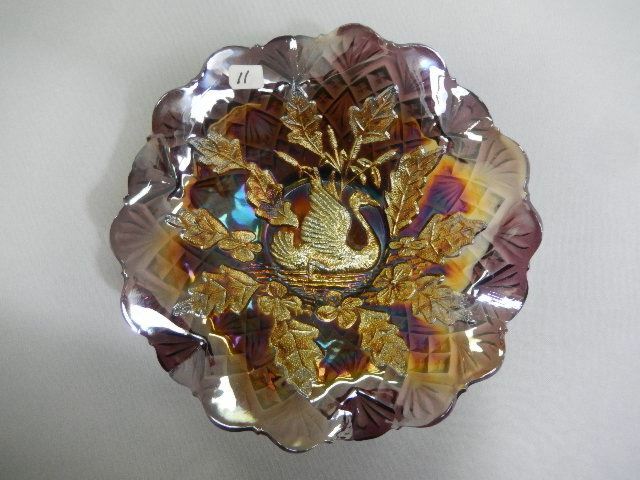 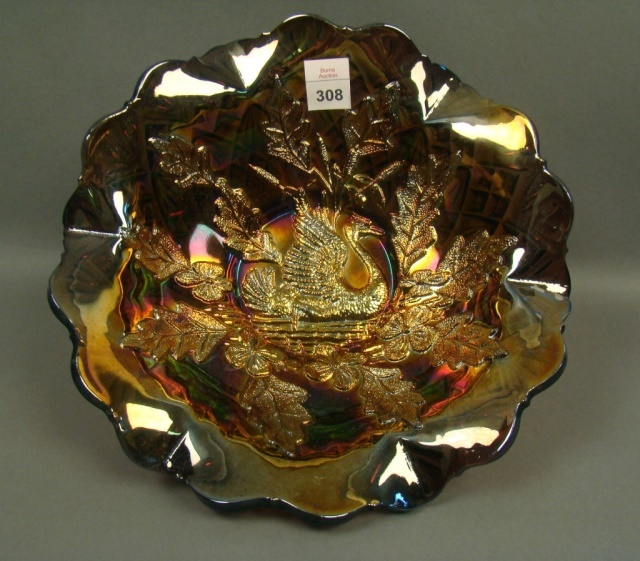 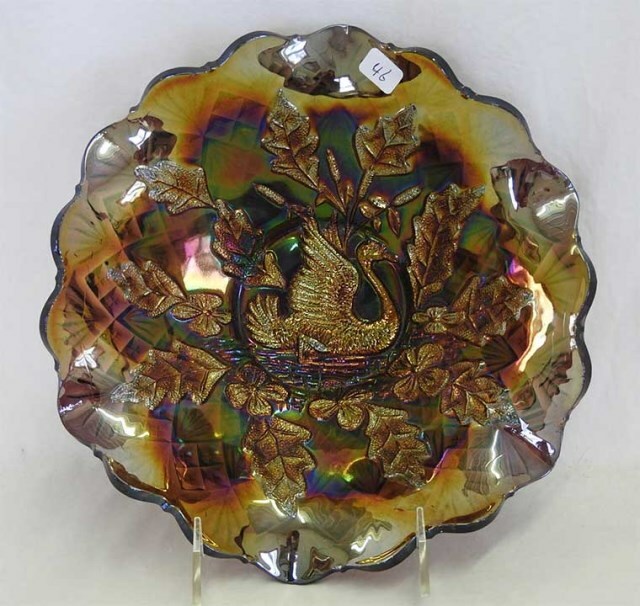 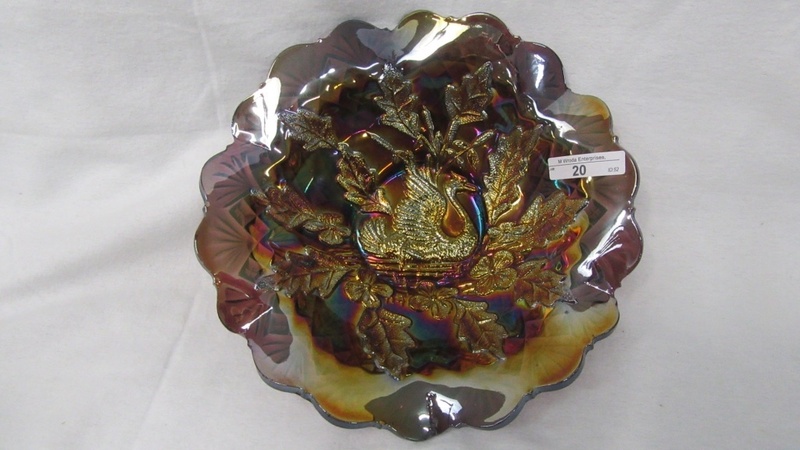 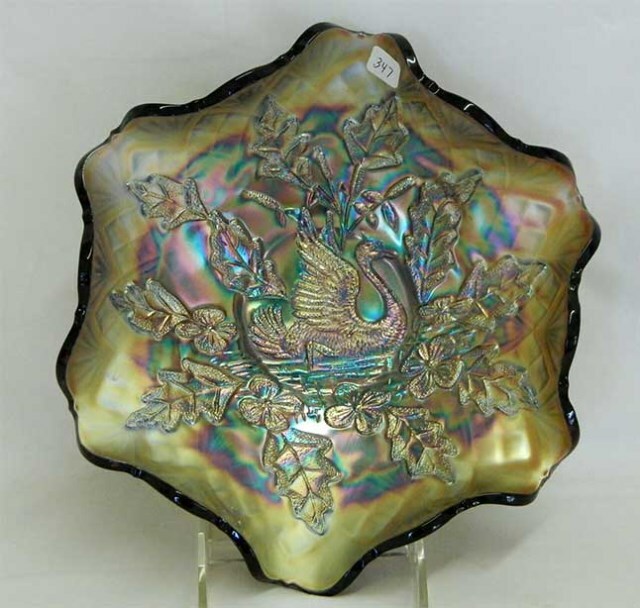 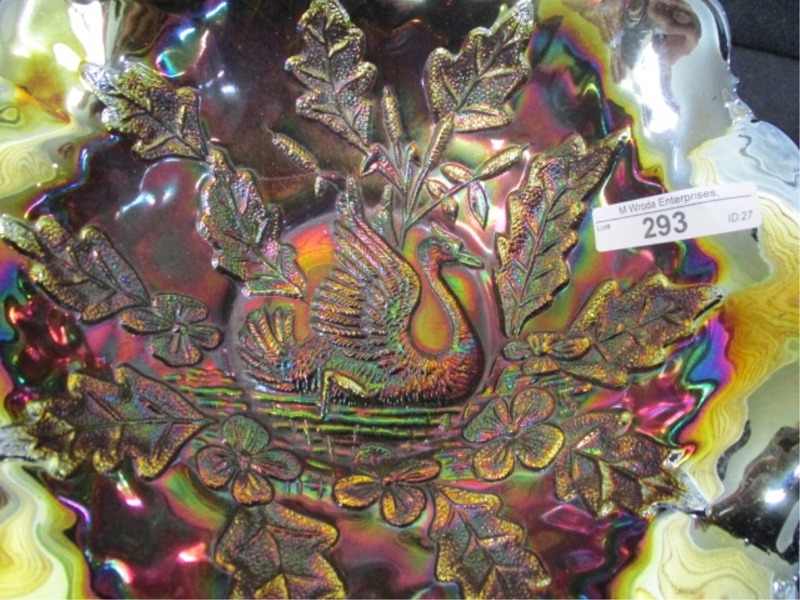 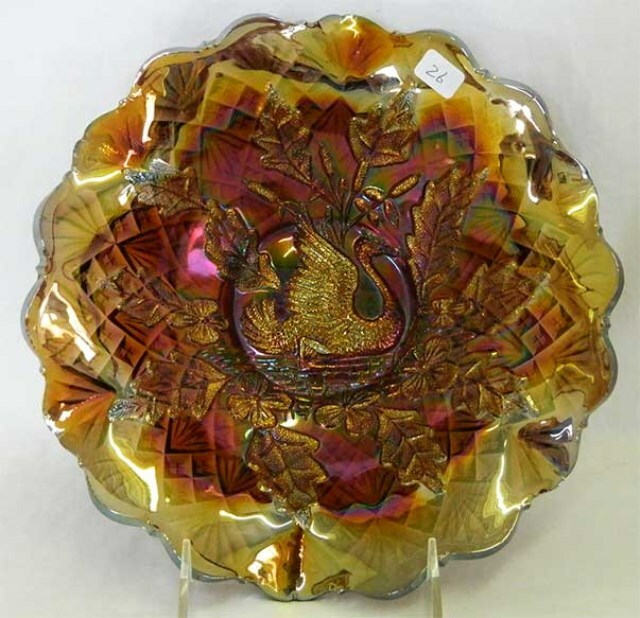 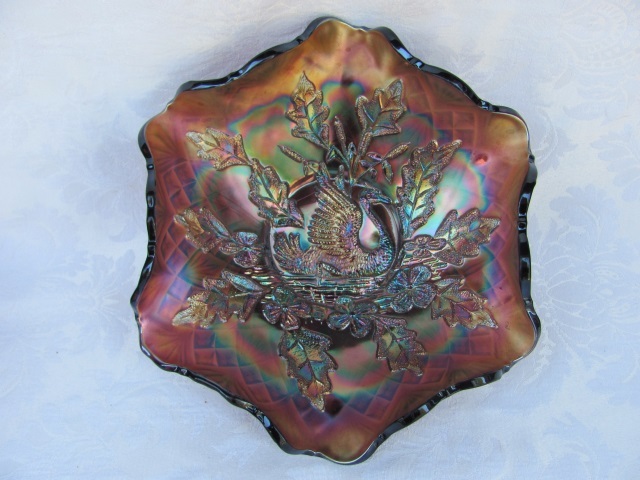 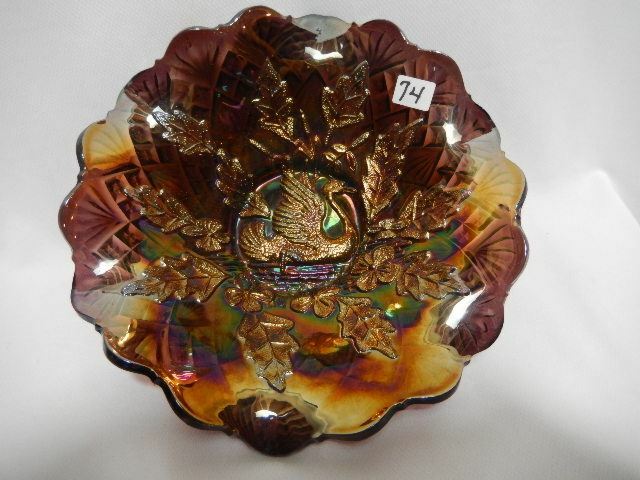 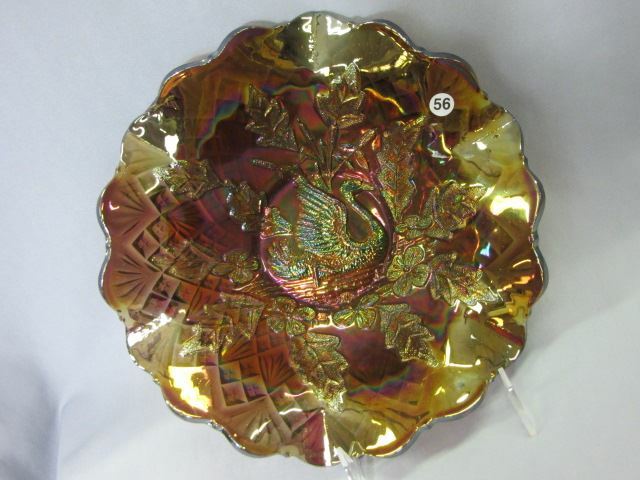 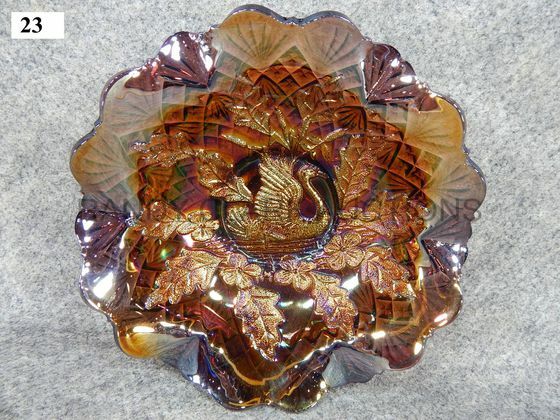 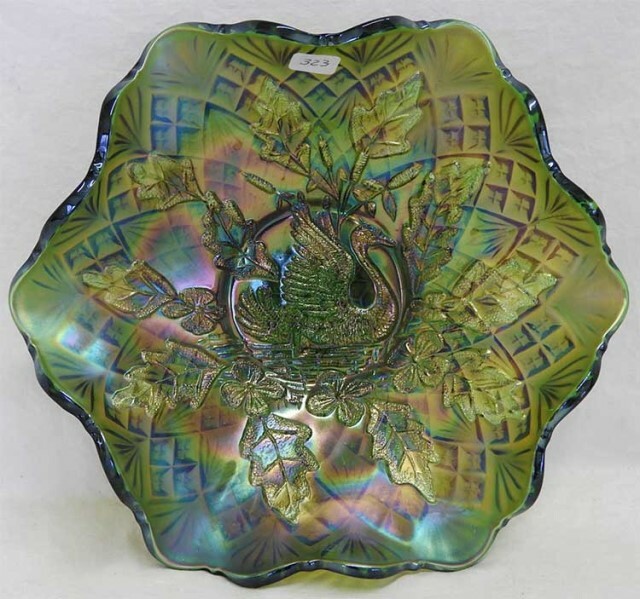 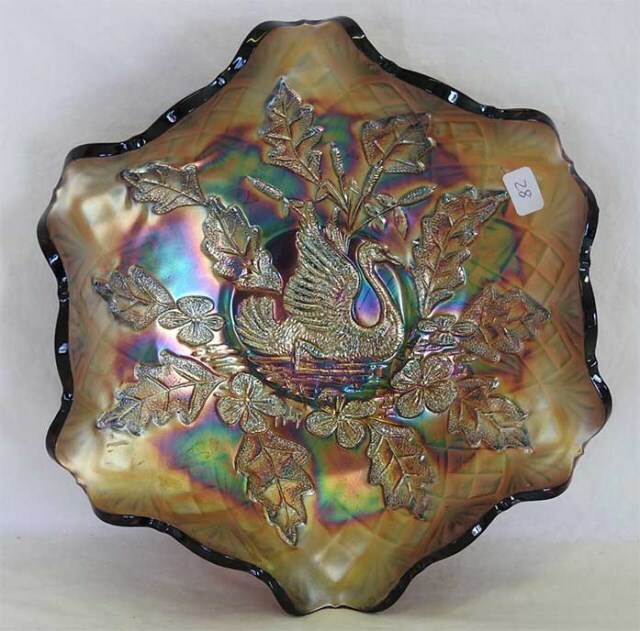 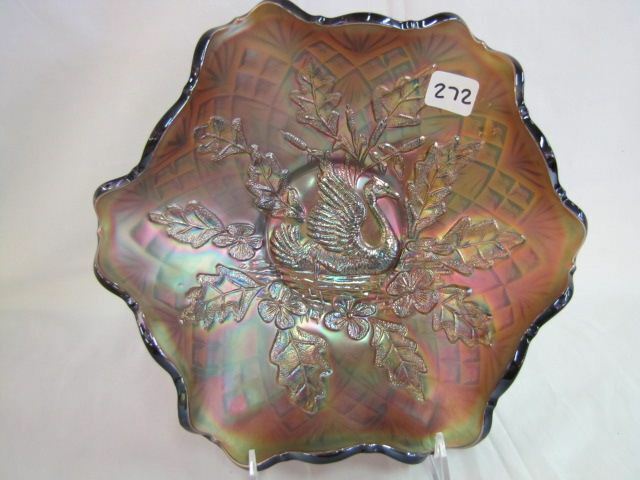 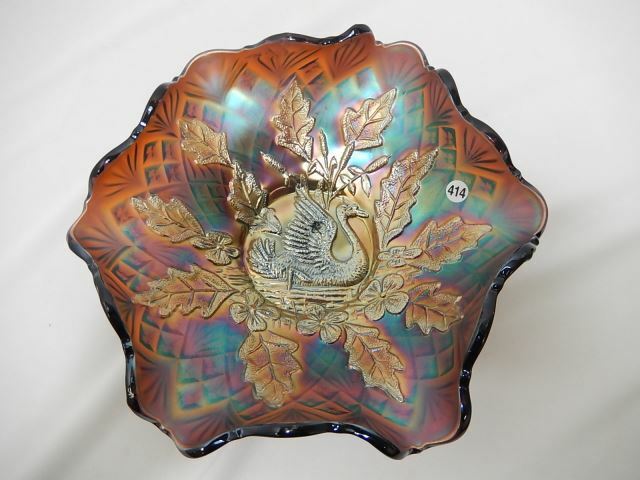 Millersburg swan pattern is found only in bowls in the usual Millersburg colors, although rare blue and vaseline are known. 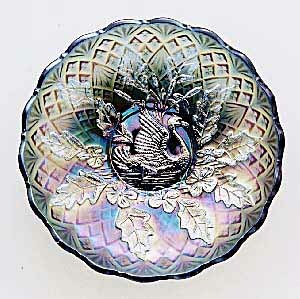 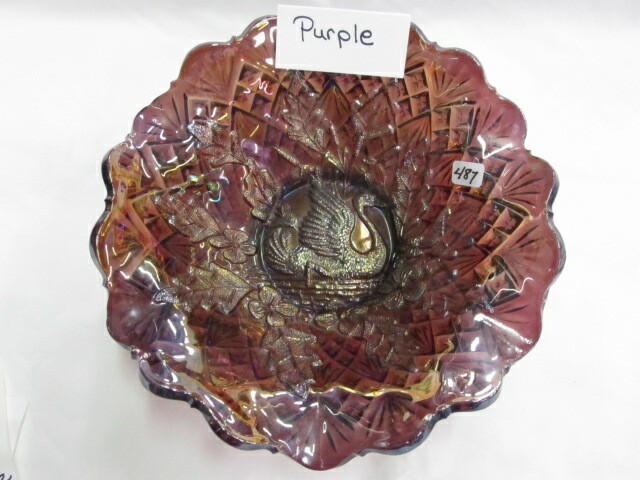 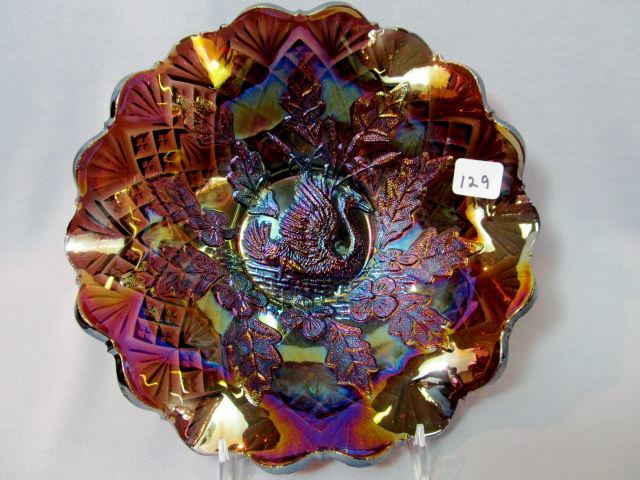 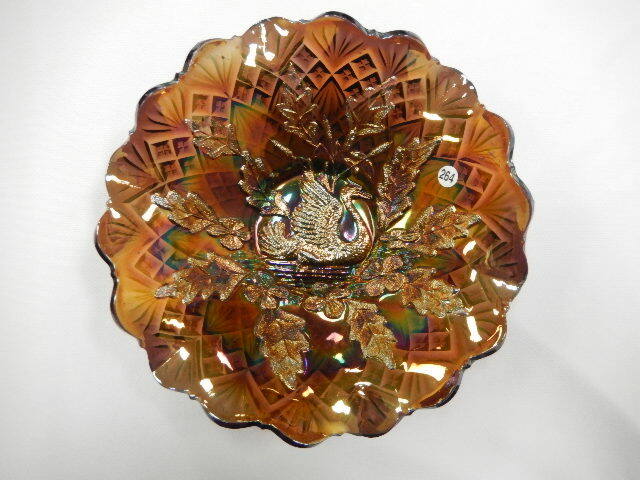 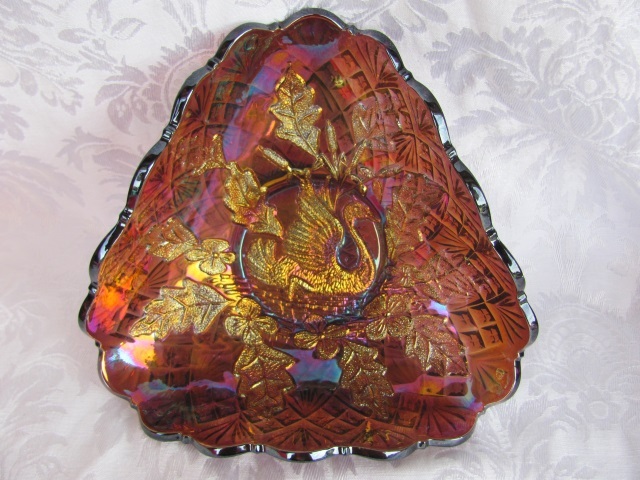 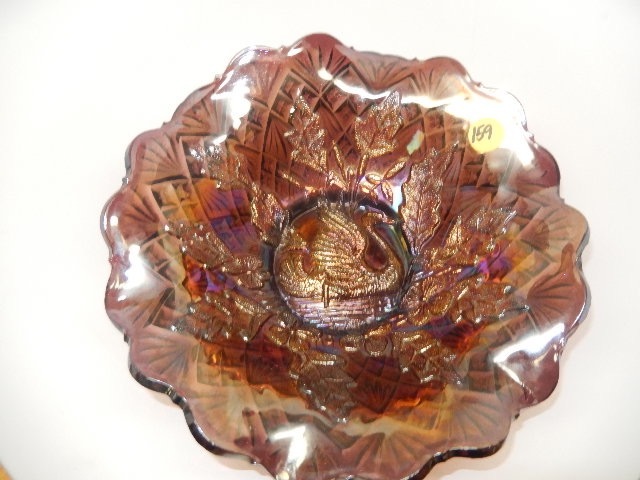 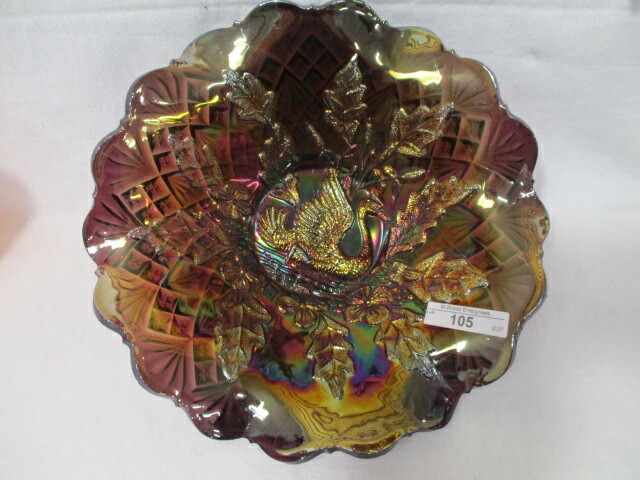 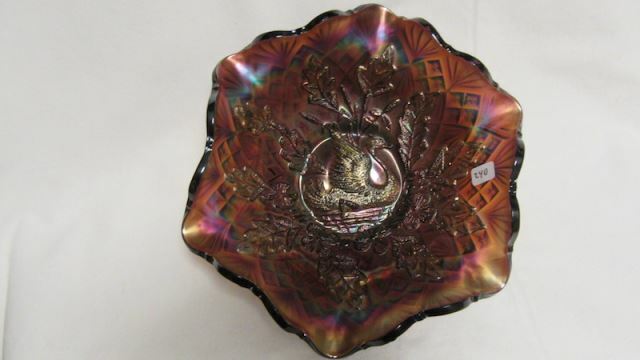 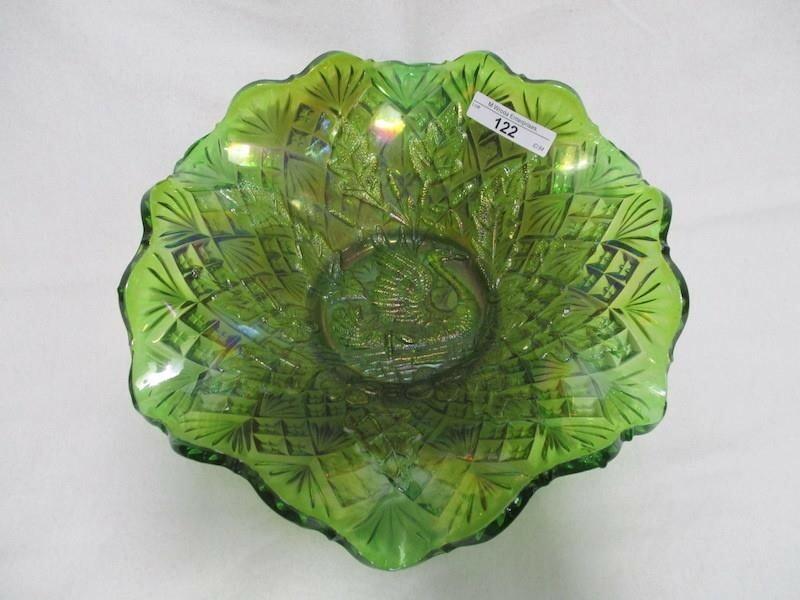 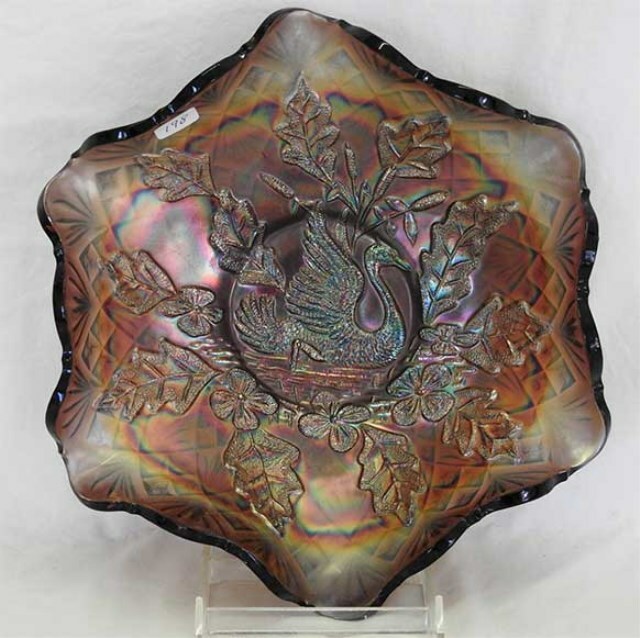 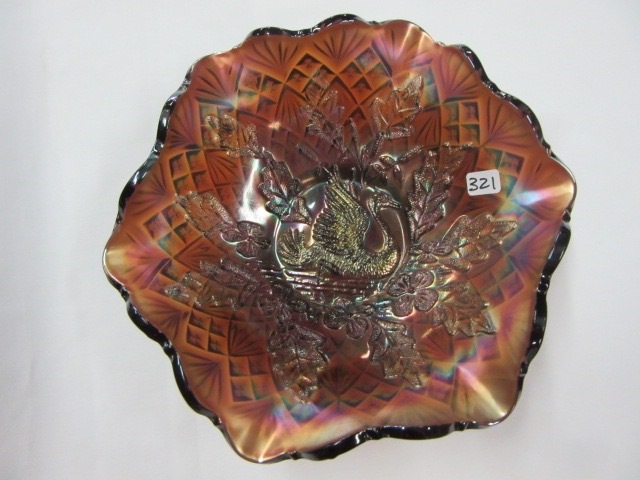 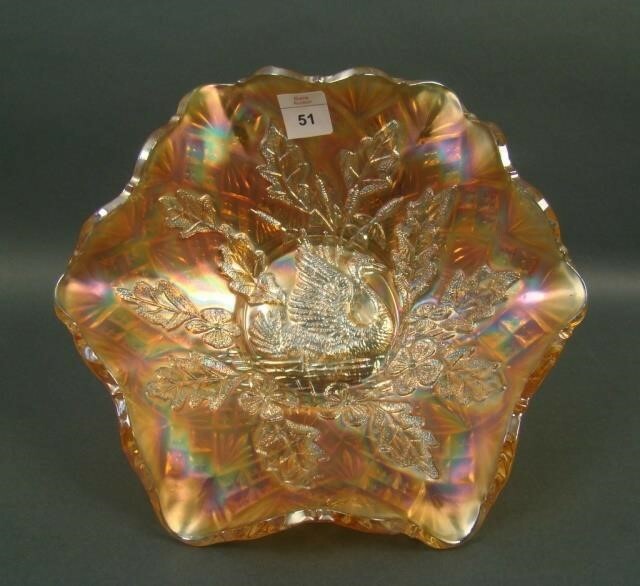 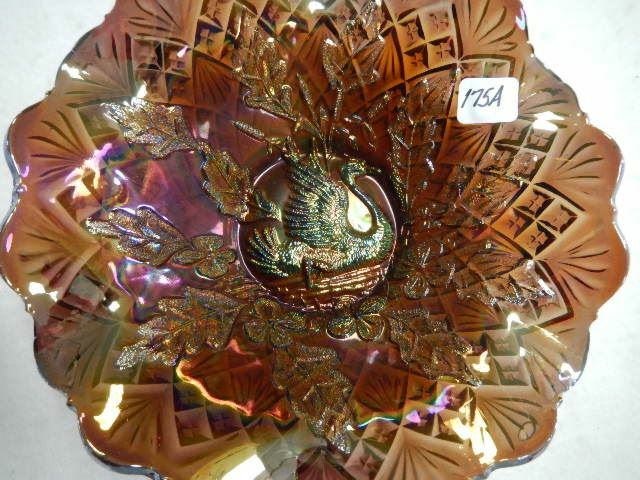 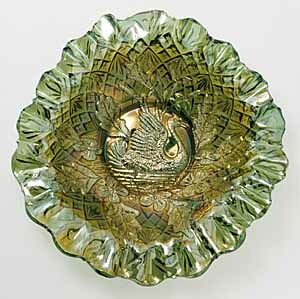 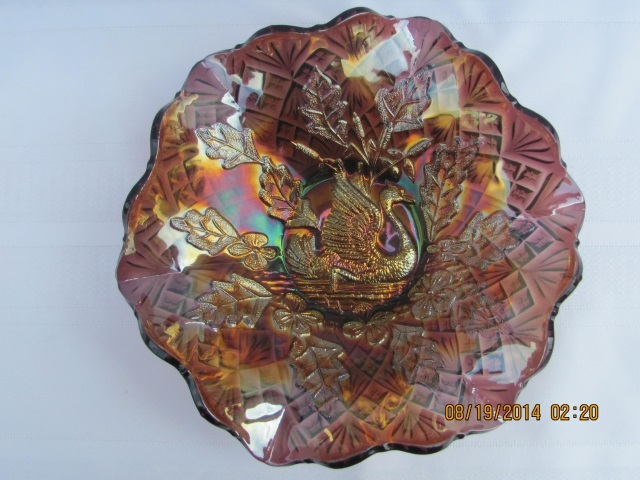 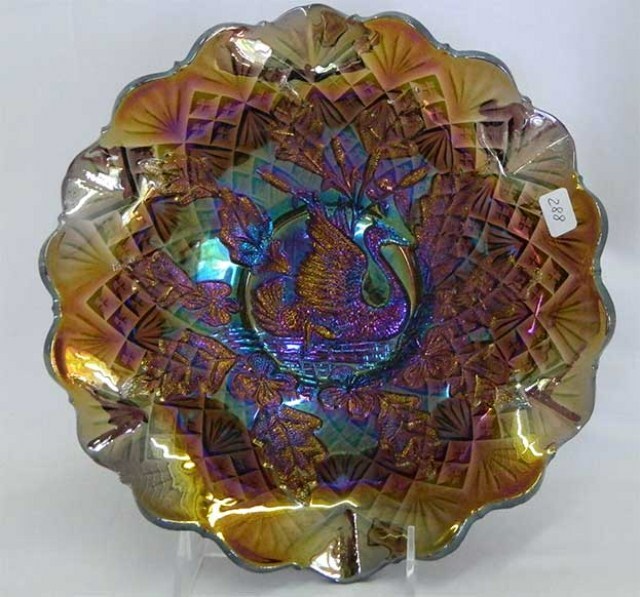 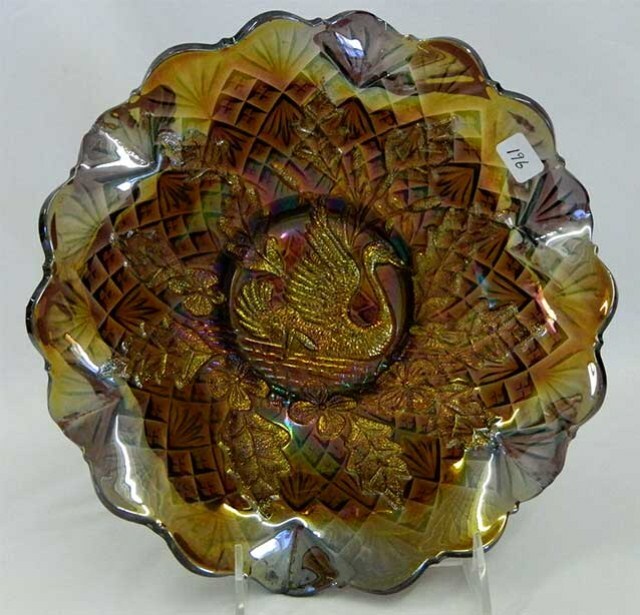 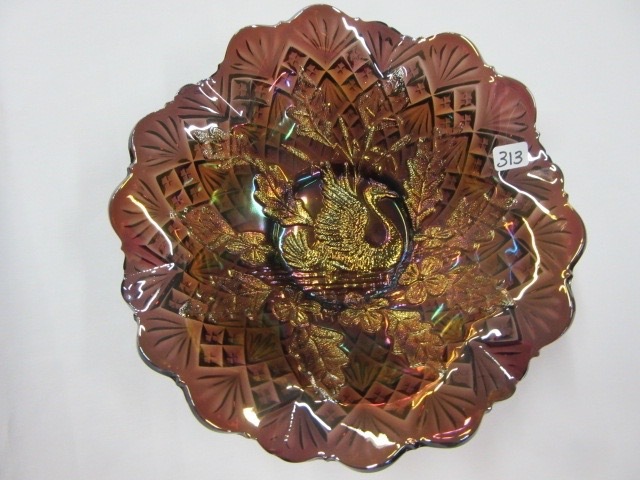 The back pattern is called Diamond and Fan and is visible through the above bowls. 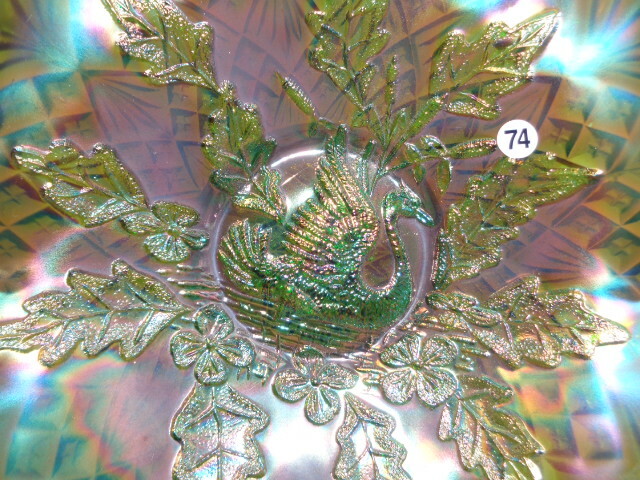 The green is in the diamond shape and this piece sold for $1,600 in 1998. 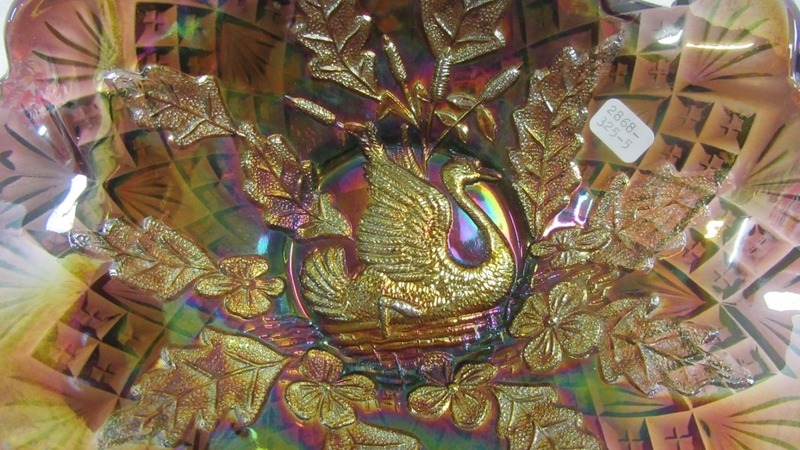 The blue ice cream shaped bowl on the right is extremely rare.